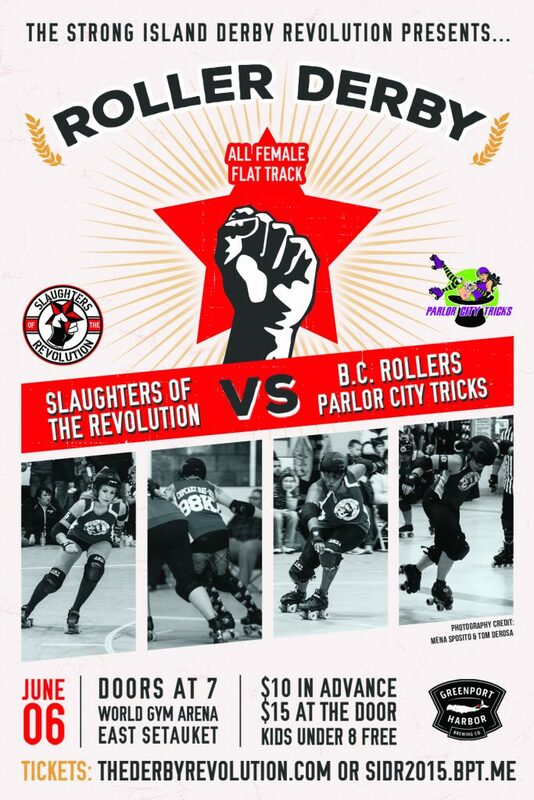 Come out and meet SIDR’s newest team as they take on the B.C. Rollers of Binghamton, NY! Bring a chair for the best seating trackside! Raffles, games, prizes and SIDR’s own Tiger Bomb will be making appearances. Enjoy local craft beer from Greenport Harbor Brewing, the official brewery of the Revolution! Eat Me Drink Me food truck is back for another season with grass fed burgers and the best fries on the planet! Discount tickets available now at SIDR2015.bpt.me.